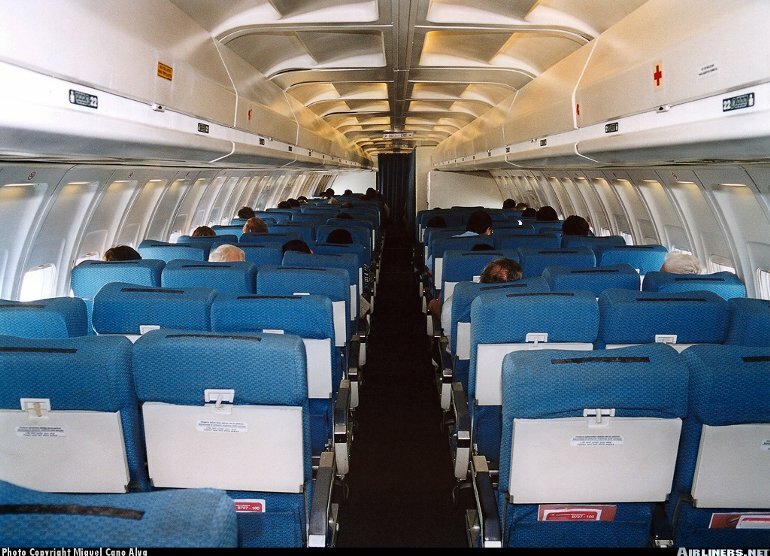 The 727 short to medium range trijet is the world's second most successful jet airliner built. Initial design studies began in 1956, although for a time it appeared that a new short/medium range airliner would not be built at all due to Boeing's financial position before sales of the 707 had taken off. Boeing persisted however and serious development of the 727 beginning in June 1959. The program was launched on the strength of orders for 80 from Eastern and United in 1960. 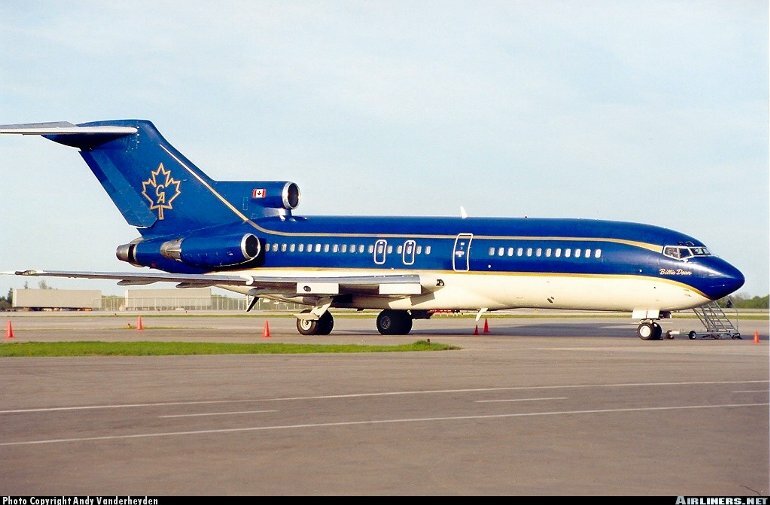 The resulting Boeing Model 727 pioneered the rear trijet configuration, with power from three specially designed Pratt & Whitney JT8D turbofans (although RollsRoyce Speys were originally considered). 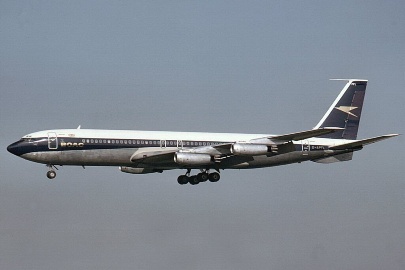 The trijet design was settled upon as it gave the redundancy of three engines, better climb performance than a twin and improved operating economics over a four engine jet. 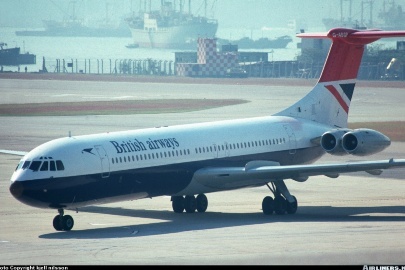 The 727 also introduced an advanced wing design with the first airliner application of triple slotted Krueger flaps. The 727 retained the 707's fuselage cross section, but with a redesigned smaller lower fuselage due to the need to carry less baggage on shorter range flights, and it has limited parts commonality with the 707 and 720. The 727 was also the first Boeing airliner to feature an APU (auxiliary power unit). 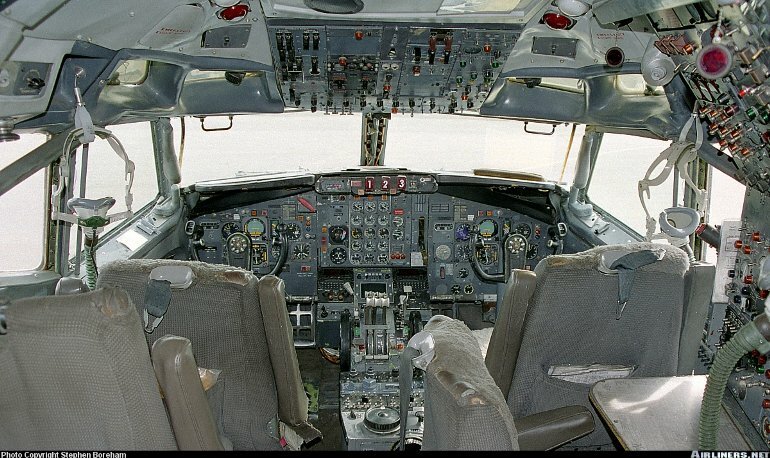 The prototype 727 first flew on February 9 1963, with certification granted in December that year. The first 727 entered service with Eastern Airlines on February 9 the following year. Development of the initial 727-100 resulted in a small family of sub variants, including higher gross weight options for the basic passenger carrying 727, the 727-100C Convertible and 727-200QC Quick Change, both with a large freight door on the forward left hand side of the fuselage. Many were subsequently converted to pure freighters. 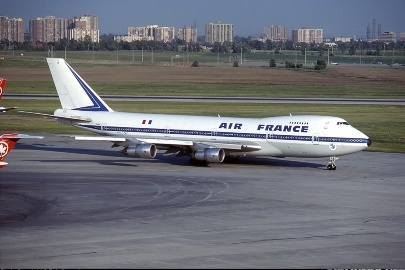 The stretched 727-200 is described separately. Production of the 727-100 ceased in 1973 but one recent notable development was Dee Howard in the USA upgrading a number of 727-100 freighters for express freight operator UPS. The major feature of the upgrade was reengining with RollsRoyce Tays, which improves performance, reduces fuel consumption and more importantly, allows the aircraft to meet Stage 3 noise requirements. 727-100 - Three 62.3kN (14,000lb) Pratt & Whitney JT8D-7 turbofans. Max speed 1017km/h (549kt), max cruising speed 960km/h (518kt), economical cruising speed 917km/h (495kt). Range with max payload 5000km (2700nm). 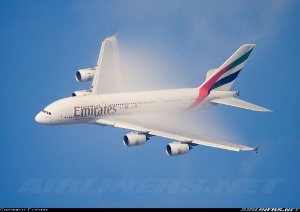 727-100 - Empty equipped 36,560kg (80,602lb), max takeoff 72,570kg (160,000lb). 727-100 - Wing span 32.92m (108ft 0in), length 40.59m (133ft 2in), height 10.36m (34ft 0in). Wing area 157.9m2 (1700sq ft). Flightcrew of three (two pilots and flight engineer). Typical two class seating for 94, max seating for 131. 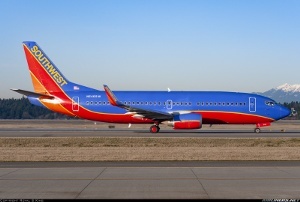 Of the 582 727-100s built, almost 400 remained in commercial service in late 1998, with 40 more used as corporate jets.